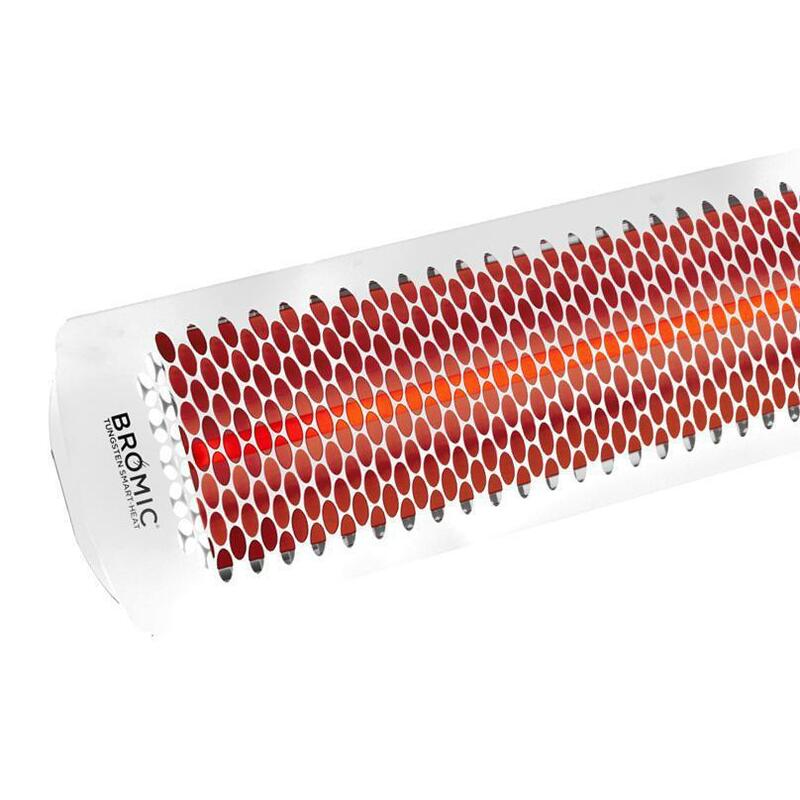 Product Description: Bromic Heating Tungsten Smart-Heat 44-Inch 4000W Dual Element 240V Electric Infrared Patio Heater - White - BH0420012. 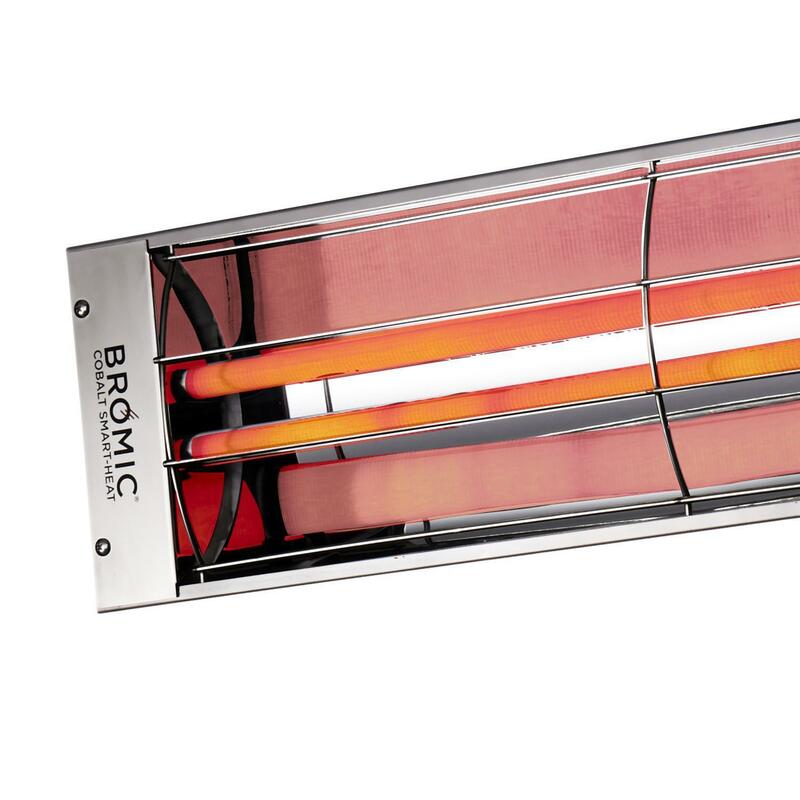 Bromic Heating leads the market in supplying your outdoor patio with radiant heaters that demonstrate outstanding performance and unbeatable quality. 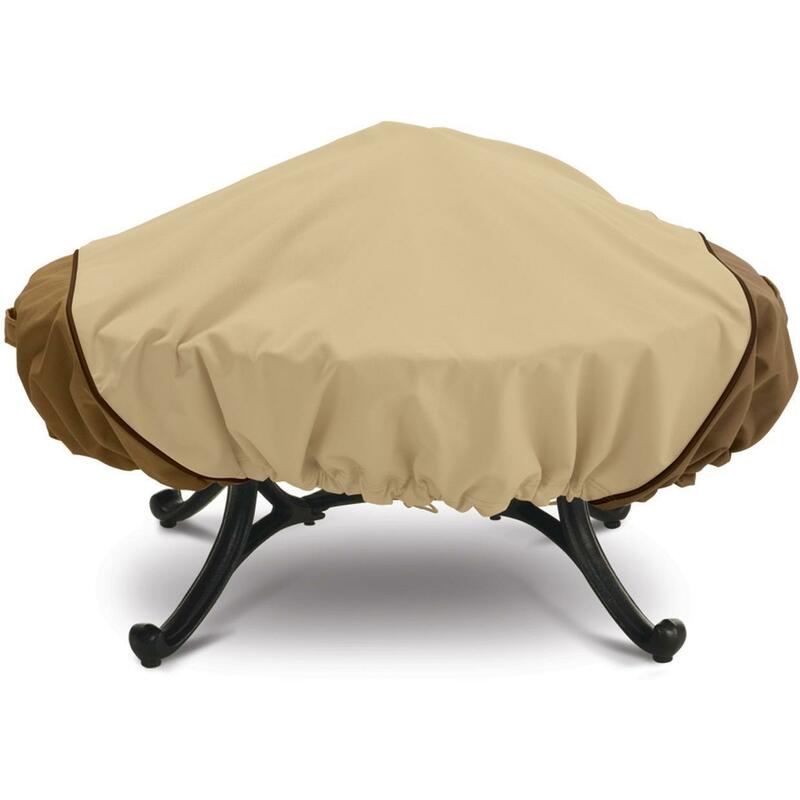 This Tungsten Smart-Heat patio heater stands out against standard patio heaters since it is equipped with a spectral reflector for distributing 4,000 Watts of radiant heat evenly and heat areas up to 130 square feet. 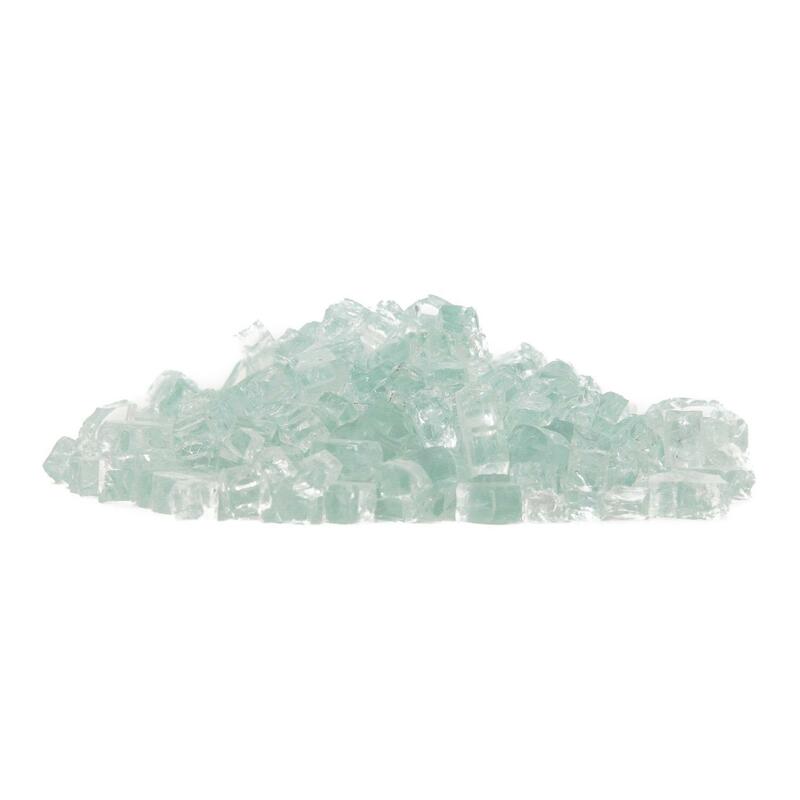 The infrared heating element tubes are frosted to reduce the harsh glare, producing a warm, attractive amber glow. The Tungsten Smart-Heat infrared electric patio heater can be wall or ceiling-mounted and wired into smart system controls to fit custom heating preferences. Wall and ceiling mounting options allow you to easily adjust the flow of heat for better, custom directional heating. 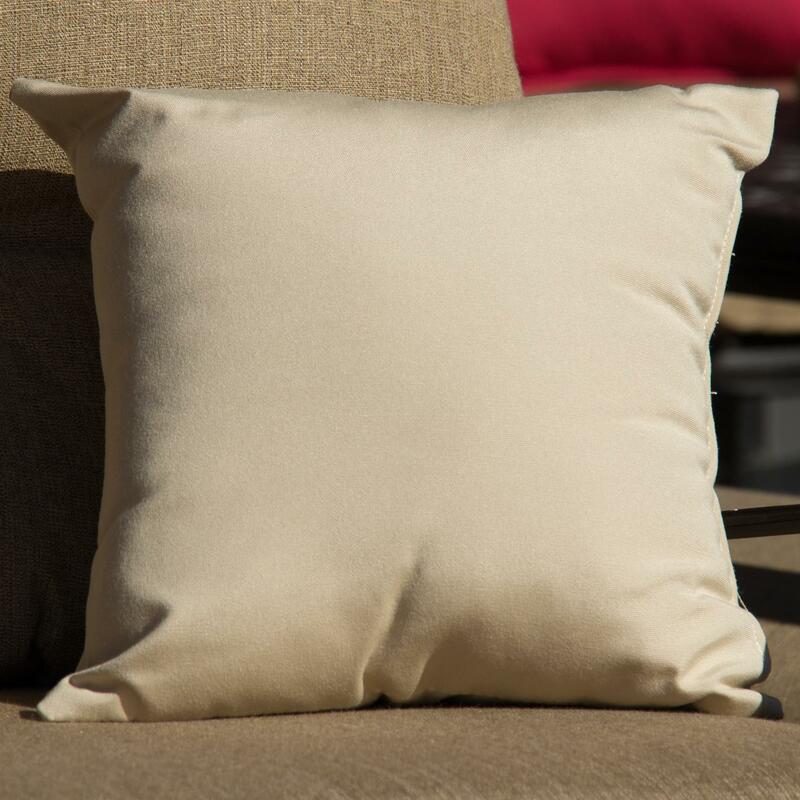 The heater has a corrosion-resistant, high temperature coating, and a tamper-proof electrical wiring enclosure to help extend its life and quality. 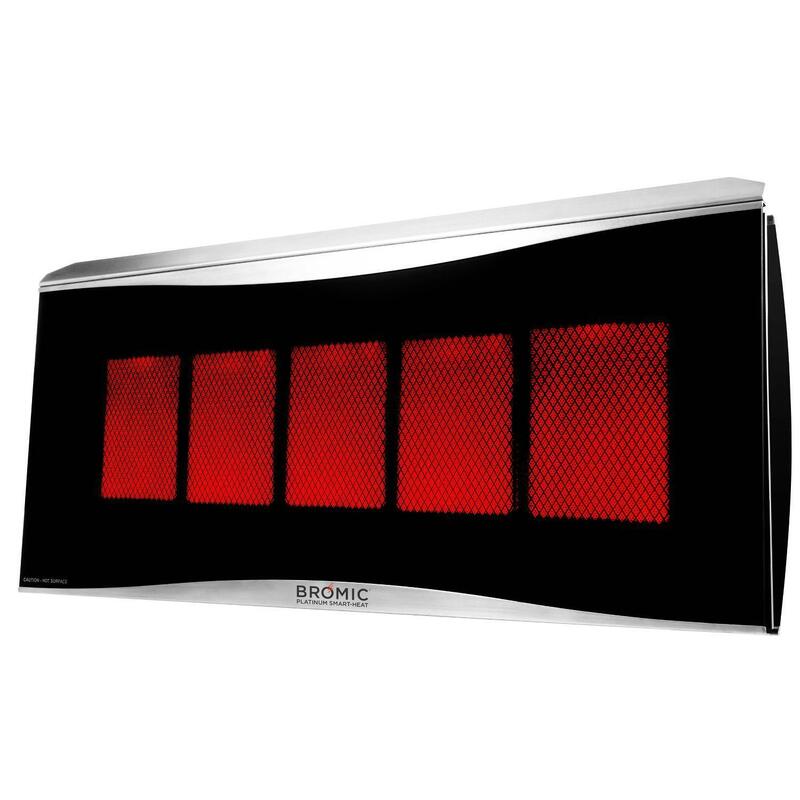 Bromic Heating Tungsten electric heaters are perfect for both commercial and residential installations. This heater uses 240V AC current and must be hard-wired by a licensed electrician. Please consult a licensed electrician to determine suitability for purpose.